If you have ever wanted to eat in an out of the ordinary setting then read on. We’ve rounded up some of the most unusual, utterly unforgettable and unique dining experiences in Africa. 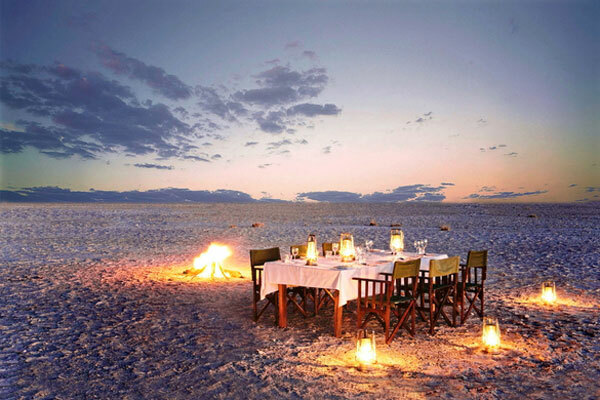 From lunch on a rock in the turquoise waters off the Zanzibar coast, to toasting your loved one in an ancient cave or on a train overlooking the mighty Victoria Falls… you are sure to blow your dinner guest away with an extraordinary culinary experience. 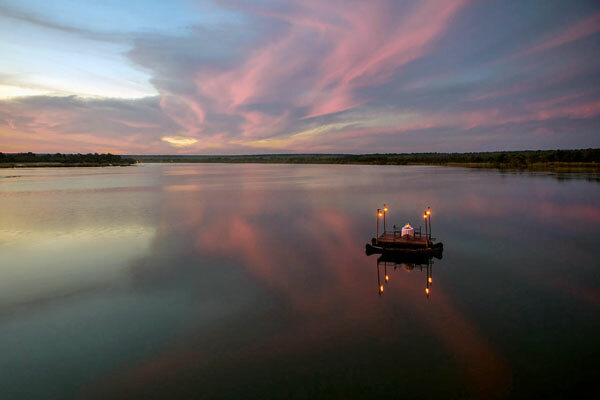 A romantic dinner while floating on the spectacular Zambezi River, watching hippos wallowing and a brilliant pink sky, is a great one way to round off a day in the Livingstone area. If you’re planning on visiting Zambia and the incredible Victoria Falls, and you stay any of the three Tongabezi camps (each on the river bank and just upstream from the famous Victoria Falls; Tongabezi Lodge, Sindabezi Island and Tangala House), not only will you be surrounded by pristine wilderness, but will be able to experience dining on a sampan moored in the river. Even better, this unique experience is included in the rate. If you’re looking for something truly breathtaking then the Rock Restaurant is for you. Perched on a rock, surrounded by the ocean (at high tide), just off beautiful Michanvi Pingwe beach on the exotic spice island of Zanzibar, you can be sure to satisfy all your senses here. 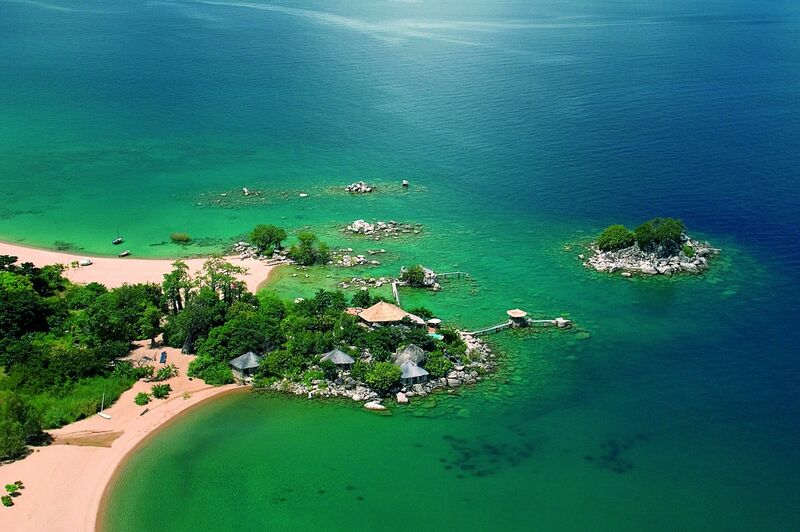 Inhale the sea air, revel in the soft pastel colours and idyllic views while tucking into beautifully prepared grilled fish and seafood or local Swahili dishes. 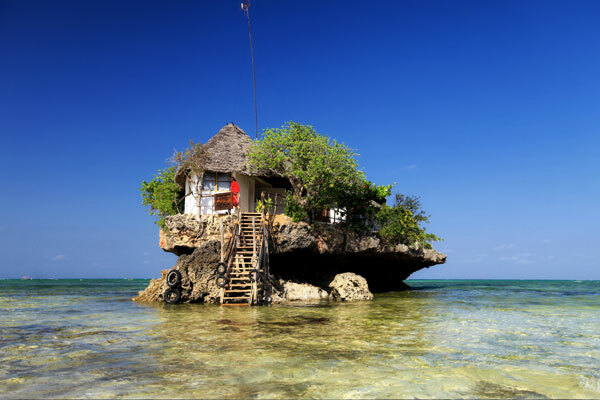 Originally a fisherman’s post, The Rock is Zanzibar magic at its best. 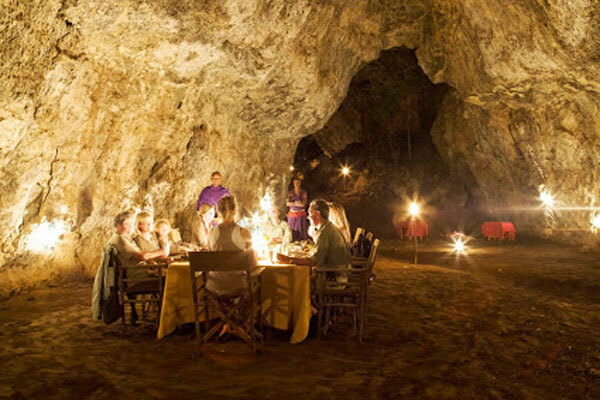 For the ultimate romantic setting and magical atmosphere – you’ll dine below the earth’s surface with flaming torches, lanterns and local Masai – Campi Ya Kanzi’s Cave restaurant is bound to make a lasting impression. Not far from the camp, there is a huge cavern where, in the past, the Masai hid livestock they raided from the nearby Wakamba tribesmen. The cattle were kept in the cavern during the day and let out to graze at night. Today, guests can walk the 45 minutes to the entrance to the cavern, which is via huge lava tube. Once inside you’ll find a safari fire and a table set with candles for your dinner. The atmosphere is extraordinary – the lighting from the lanterns and the candles combined with the darkness of the cave contribute to a relaxing and almost spiritual experience. 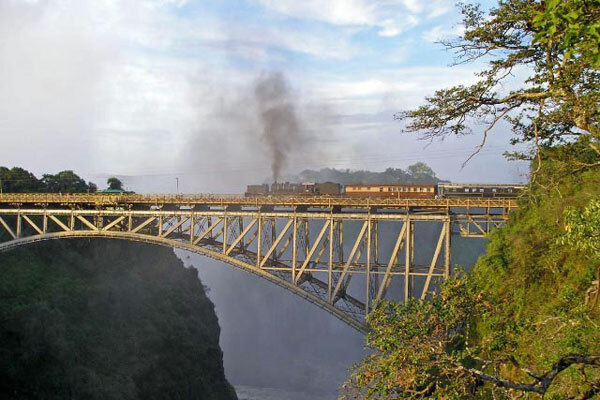 There’s little more magical than sipping a glass of bubbly aboard a vintage steam train while crossing the famous Victorian bridge over the Victoria Falls. For a one-of-a-kind experience, ask us to arrange an afternoon steam train trip from either the Zimbabwean or Zambian side. The Bushtracks Express offers the ultimate pre-dinner-five-star experience onto the famous bridge, constructed in 1905 by Cecil Rhodes, followed by a silver service dinner in the Palm Grove Siding. 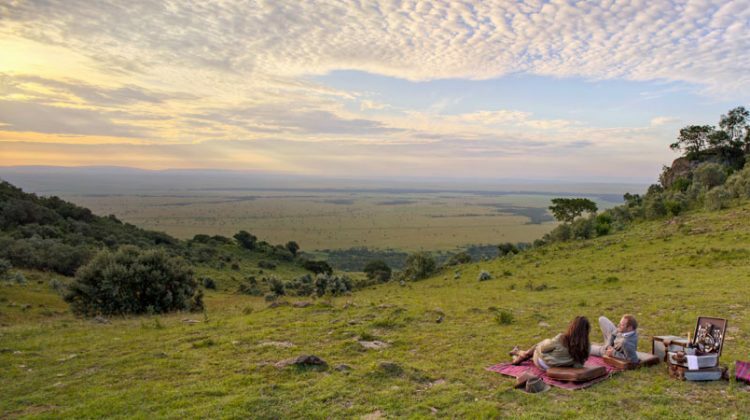 Few things in life rival the bonhomie of sharing a picnic with friends and family, and there’s nothing like a summer picnic in the Masai Mara. Angama means ‘suspended in the air’ in Swahili, a fitting name for a safari lodge where the rooms appear to hang above the plains of the Masai Mara below. 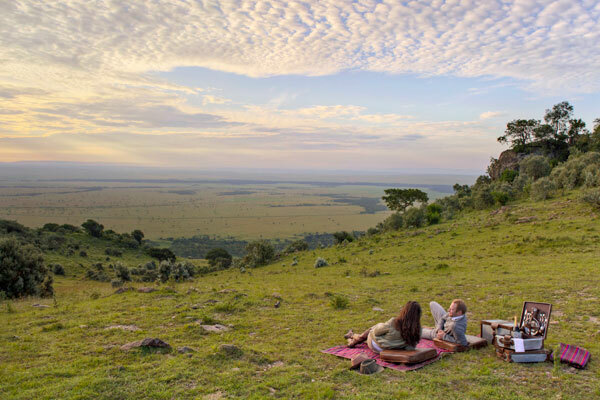 Couples staying here can live out their Out of Africa fantasies and picnic in the same spot as Meryl Streep and Robert Redford in the film. You never eat in the same place twice at Azura Benguerra. 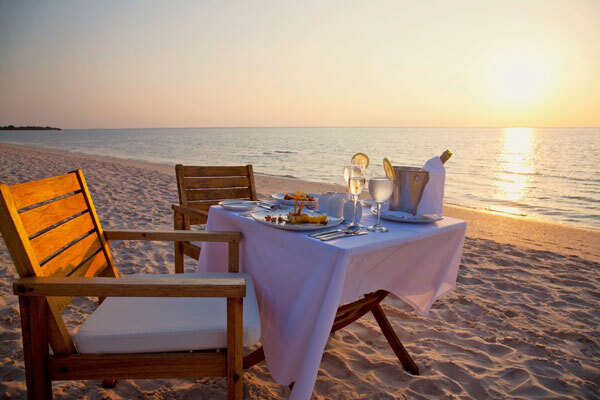 Dining is all part of the experience, from breakfast at the water’s edge and picnics on a remote sand spit, to dining on a candle-lit beach beneath the stars and romantic private dinners at your villa. 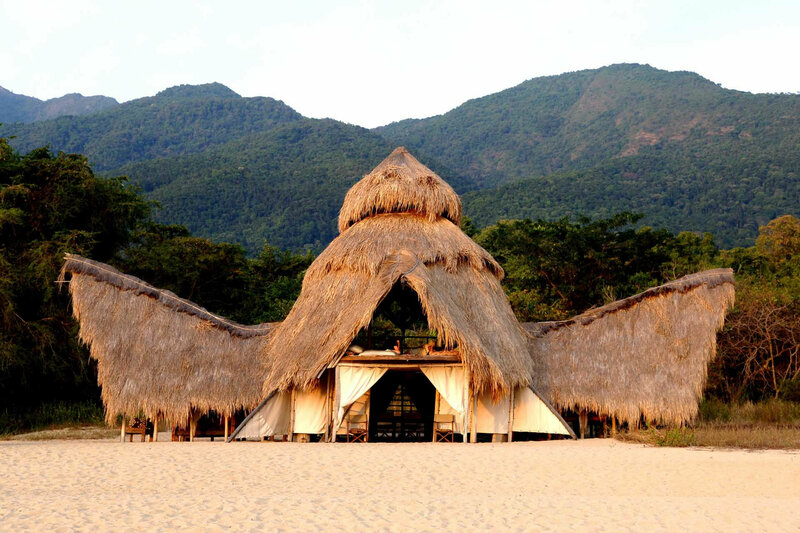 The Mozambique hosts take huge pride in their innovative dining set-ups and little touches to make your stay special. Deep in the heart of Namibia’s ancient Namib Desert in Southern Africa, Sossusvlei Desert Lodge is a secluded and serene oasis overlooking awe-inspiring dunes and stony outcrops. A world of vast spaces, endless horizons and rugged mountain heights, the utter tranquillity and extraordinary clarity of light make this area one of Africa’s most compelling landscapes. Guests dine by the light of lanterns and are served exquisite meals complimented by a fine selection of wines from an impressive walk-in wine cellar. 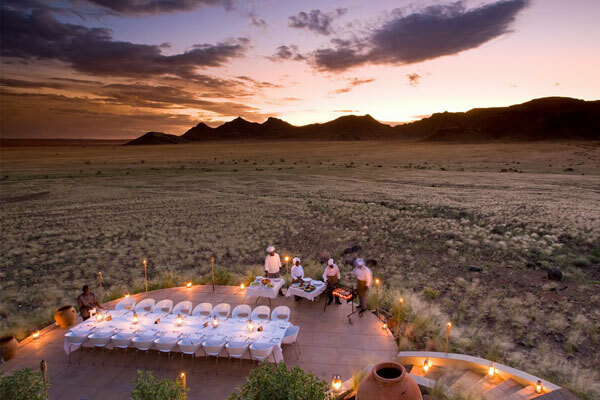 An enormous al fresco terrace looks out on the desert plains, and in the evening, at the floodlit waterhole where you can watch the passing parade of oryx, springbok, jackal, ground squirrel and hyena. Situated within 140 acres of indigenous forest and playing host to a resident herd of Rothschild’s giraffe, Giraffe Manor offers an incomparable experience. The building dates back to the 1930s and is modelled on a Scottish hunting lodge, creating a charming yet luxurious spot where animal lovers can enjoy interacting with giraffe and exploring the forest. 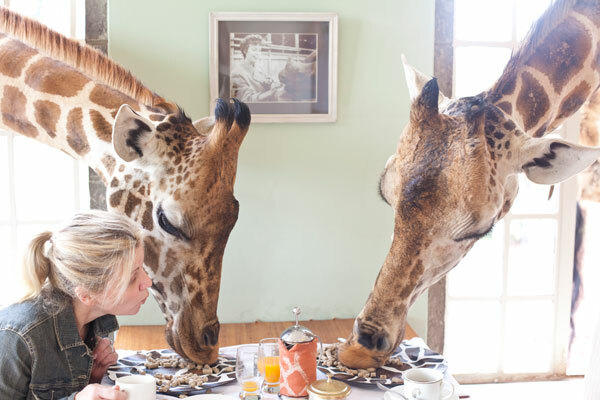 You find the friendly giraffes in the most unexpected of places; the breakfast table or your room window, vying for your attention and checking out what’s on your plate. The Barranco Wall on Mt Kilimanjaro is encountered early on day four for climbers on the Machame Route, or day five on the Lemosho Route. It looks more ominous than it actually is and you don’t need technical climbing skills to be able to scale it. 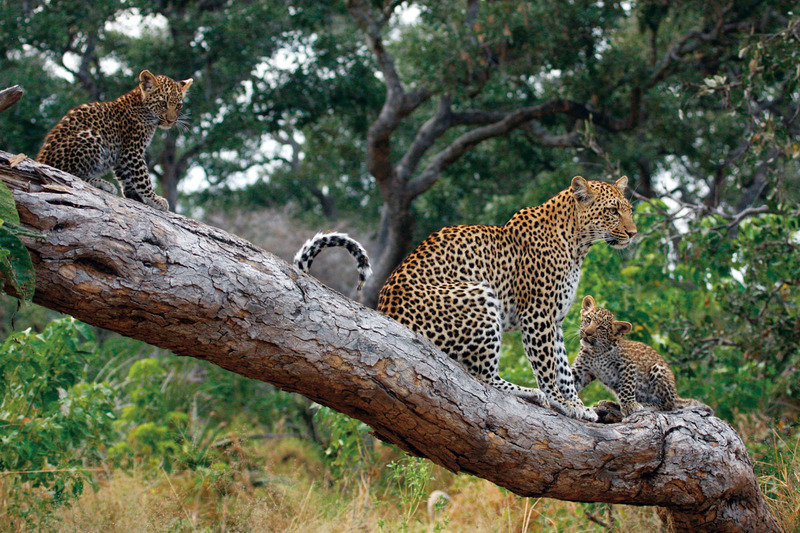 At an elevation of 4,207 meters above sea level, there are great views over the landscape and out towards Mount Meru. 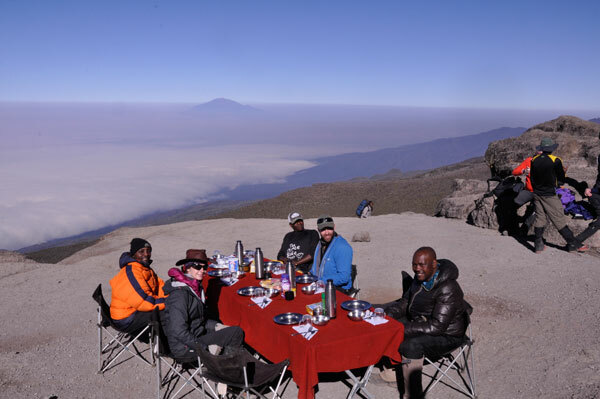 Often referred to as the ‘Barranco breakfast wall’ as it has to be scaled before breakfast, Summits Africa carry a breakfast table to the top so you get the best views of Africa from this mountain-side setting. 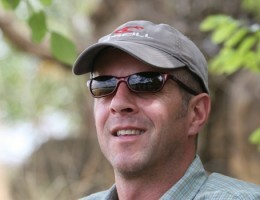 Is Mana Pools in Zimbabwe, the new South Luangwa? WiFi among the wildebeest? Or not? Is it a Bird? Or a Plane? Aerial Africa!